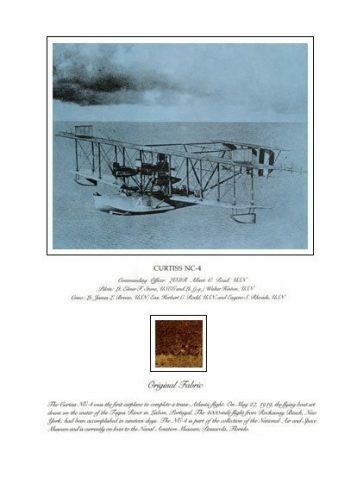 The 4-square inch swatch of the original fuselage fabric included with this relic print was preserved when the Smithsonian restored the Fokker T-2 before installing it in the permanent collection of the National Air and Space Museum where it can be seen today. 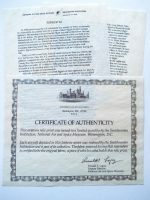 Also included is a Certificate of Authenticity signed by the Deputy-Director of the Smithsonian and 2 pages of colorful historical information on this aviation milestone along with aircraft specs. An extraordinary flight and an opportunity to own a piece of aviation history. 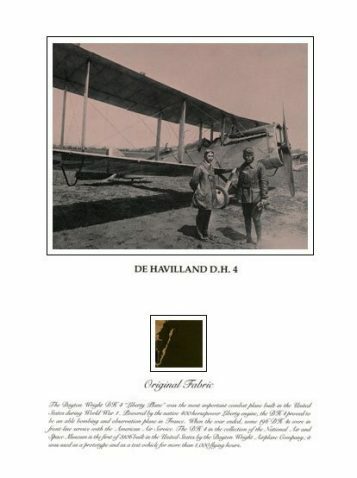 The following description of the Fokker T-2 appears on your relic print, just below the original fabric swatch. 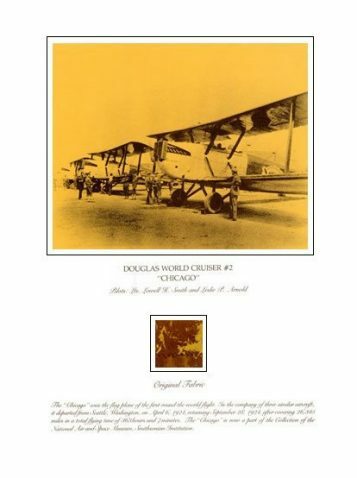 The Fokker T-2 made the first nonstop U.S transcontinental flight on May 2 and 3, 1923. It covered the 2470 miles from Roosevelt Field, Long Island, New York, to Rockwell Field, San Diego, California, in 26 hours, 50 minutes, and 38 seconds. 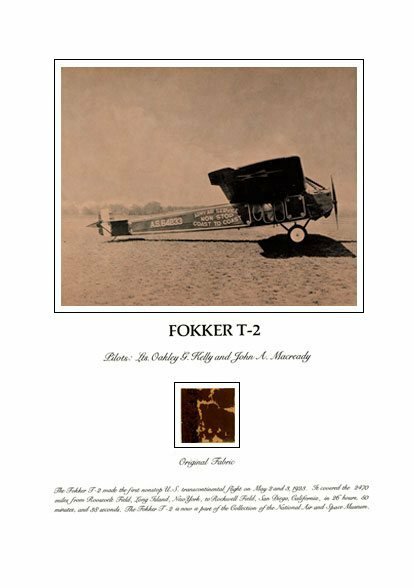 The Fokker T-2 is now a part of the collection of the National Air and Space Museum. 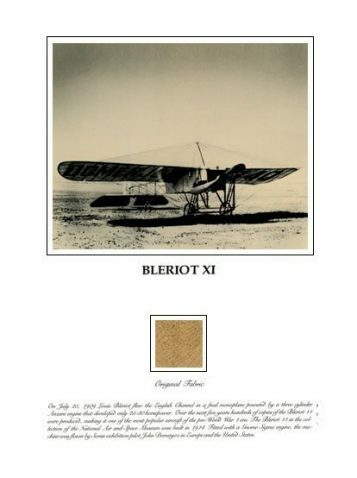 A signed Certificate of Authenticity from the National Air and Space Museum and 2 pages of historical documentation is included with your Fokker T-2 relic print.